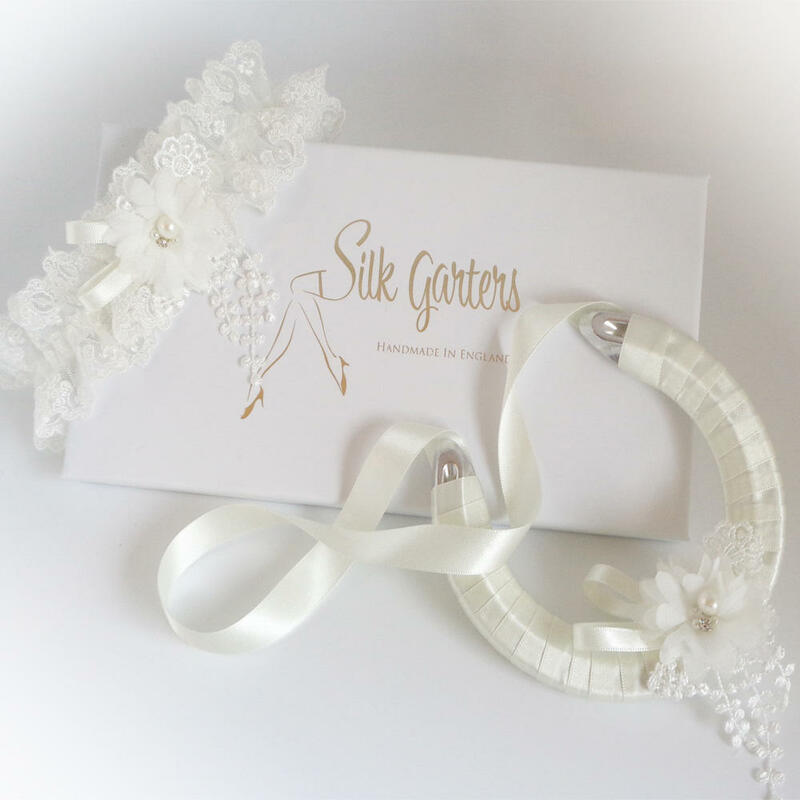 A beautifully delicate wedding garter and horseshoe set! This is delicate ivory Nottingham lace...The tulle is embroidered with tiny lucky clovers and horseshoes, with a sheer centre. The chiffon flower is laid over trailing lace and enhanced with crystals and pearls. The ribbon of the wedding horseshoe is slightly creamier than the lace. I bought this set for my grand daughter and I must say I was delighted with it, I'm sure Izzie will be too! Thank you.